Although the fairways and greens are covered with snow, golfers are still teeing off at Breezy Bend Country Club. The private club at 7620 Roblin Blvd. in Headingley has an indoor golf simulator that allows members to try their luck at 12 international champion courses. We have 60 players in a winter league, There’s also a winter golf school where Breezy Bend pro Kris Ehnes provides off-season instruction. Johnson said the club is open on a year-round basis. The site was originally developed in 1961 by farmer John McMahon who lived across Roblin Boulevard. The 18-hole course had no irrigation at first. The first clubhouse was replaced by the current structure in 1988. Johnson said almost $6 million was invested in improvements to the course and buildings over the past 10 years, with about $1 million going into clubhouse upgrades beginning in 2015. One of the most recent improvements is a stone patio area constructed on the south side of the clubhouse. “The members are really excited about the improvements being made every year,” Johnson said. First run as a public course, Breezy Bend became a private operation in 1963. Membership climbed from 100 to the approximately 650 current members. Of the members, about 150 are women and 100 are juniors. “The junior program is really successful,” Johnson said. Most members come from Headingley, Charleswood and Westwood, and Johnson said younger families are joining. A matrimonial garden, created six years ago, is popular with wedding planners. The clubhouse’s McMahon Hall can hold 220 and the greenside dining room can be booked for smaller events. Johnson said between 30 and 40 weddings are held at Breezy Bend each year. 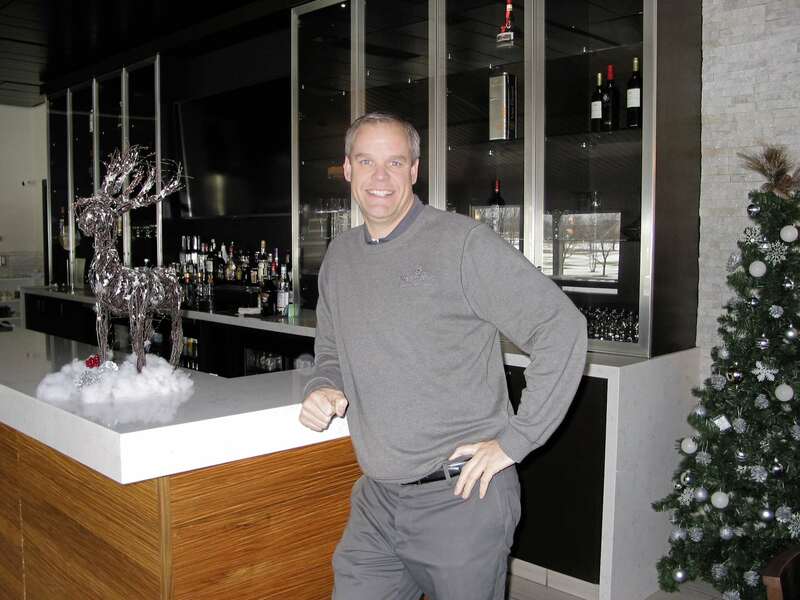 Executive chef Klaus Leiendecker has been overseeing Breezy Bend’s kitchen for 12 years. Johnson said the public are welcome to come to a Sunday brunch being held on Dec. 10 and 17 from 10 a.m. to 1 p.m. The dining room is also open to the public for other special occasions such as Mother’s and Father’s Days. An annual clubhouse membership can be purchased. The facility is also used for the Rotary Club of Winnipeg-Charleswood’s weekly meetings and by other outside organizations. It’s too bad the article quoted Cory. If it was someone else they may have said, beside the golf course itself, he’s the hidden jewel of Breezy Bend. I’m sure every member will agree, he works tirelessly for the members and has helped make BB what it is today, one of Winnipeg premiere golf clubs. Still think about BB and all the good things it had to offer. I had many good years there! None of the clubs I’ve been associated since could hold a candle to Breezy. I hope you and the “old guy” Sandy are doing well. Back in the old days this was so true …. ” hidden jewel of Breezy Bend” … probably even more so now! Winnipeg Weddings and Receptions in a luxurious Country Club Setting. Breezy Bend CC is at Breezy Bend CC.